The largest South Asian enclave in NYC is “Little Guyana” of Richmond Hill, Queens, whose commercial district stretches for nearly 50 blocks, according to the Indo-Caribbean Alliance (ICA). It’s also home to the largest and fastest-growing Indo-Caribbean community in New York City, yet it’s largely overlooked and underserved. 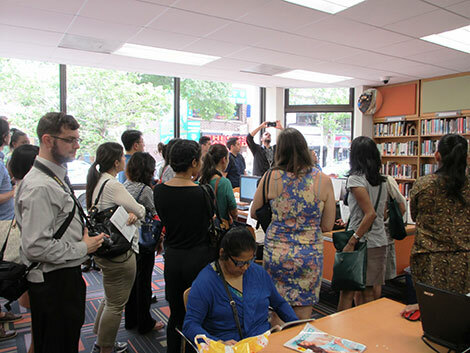 On June 25, we organized a neighborhood tour of Richmond Hill to highlight the unique culture and contributions of the Indo-Caribbean community, as well as raise awareness of its pressing needs for more youth, family, and immigration programs. Indo-Caribbean people are ethnically Indian but come from ancestors who migrated to the Caribbean and are thus culturally diverse. Hosted by the ICA, the walking tour drew over 30 community leaders, elected officials’ representatives, and members of the media, who visited the neighborhood’s important hubs: the Queens library at Lefferts to view the only collection of Indo-Caribbean literature, the residential area to discuss the need to legalize safe basement apartments, the commercial district of small businesses that have helped to fund services for the community, and Shri Lakshmi Narayan Mandir, one of the oldest Hindu temples in the City, which provides both religious and secular services to meet the community’s needs. 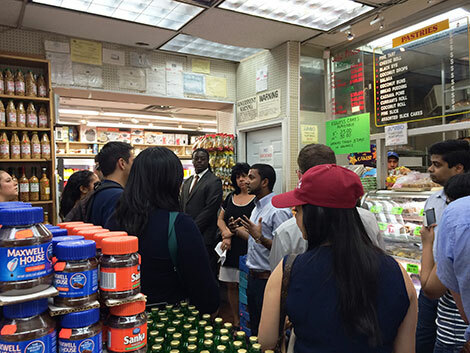 Throughout the tour, we heard from community members, business owners, and a former political hopeful, who all spoke about the community’s achievements but also about the burgeoning youth and immigration needs that have tempered Richmond Hill’s ability to become a more vibrant neighborhood. 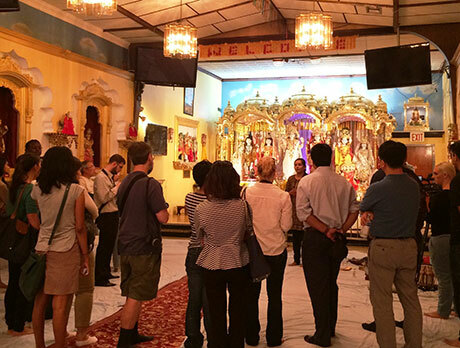 A special thank you to Richard David for helping to coordinate the tour, and thank you also to all our participants for joining us in learning about the Indo-Caribbean community and its needs! 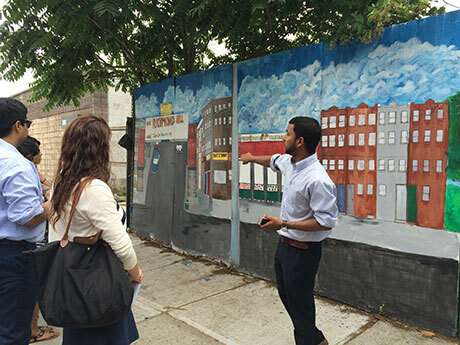 Through events like these, we work to support emerging communities and groups like the ICA that serve them. Please consider supporting more important initiatives like this.